Global marketing intelligence firm IDC surveyed ExtraHop customers on security and performance ROI. A 740% three-year ROI? A nearly 80% reduction in the staff time spent troubleshooting? 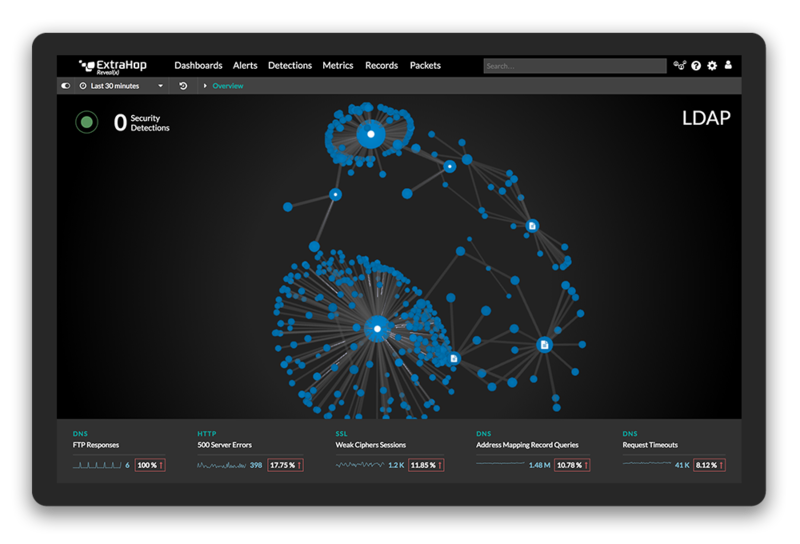 A 95% reduction in average time to detect threats? Folks, those are Steph Curry-level statistics right there. Turns out, we're a pretty great performance and security enhancer for the elite enterprise. 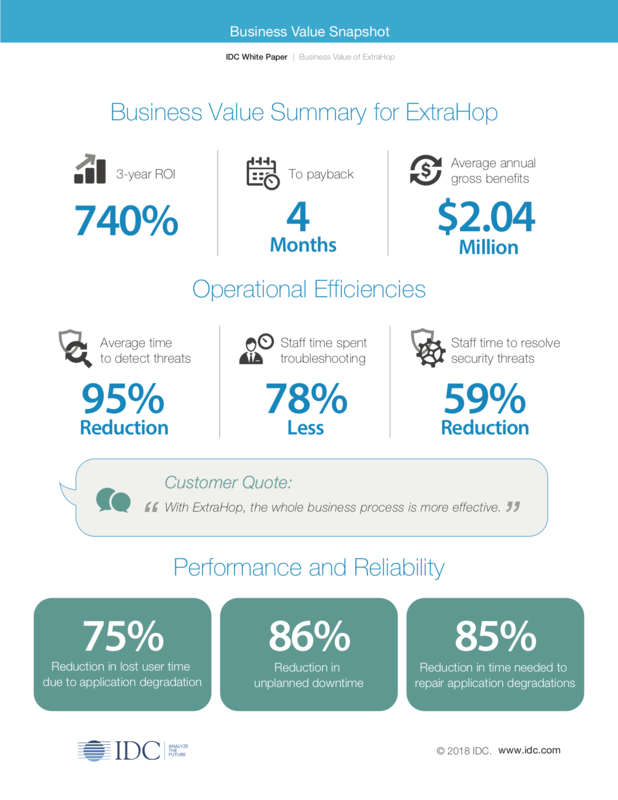 For the past several months, IDC, one of the leading market intelligence corporations in the world, has been gathering huge amounts of insight into ExtraHop's real-world business value and we're thrilled to share their findings with you. After surveying a variety of our enterprise customers, IDC has compiled all that research into a deep dive white paper. Check out the snapshot infographic below and view full white paper here.